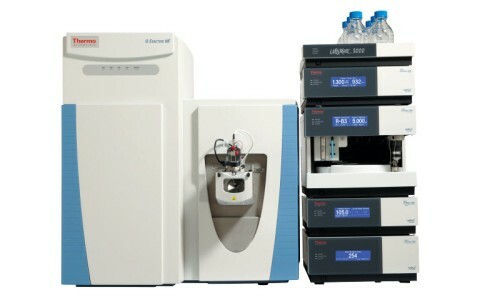 Learn about the study of an analytical workflow using HRMS1-DIA mass spectrometry systematically applied to multiple Cancer Moonshot sites. Maximize the productivity of your high resolution LC and UHPLC workflows without redeveloping existing methods. 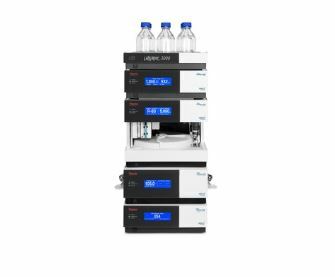 The Thermo Scientific™ UltiMate™ 3000 Rapid Separation Dual System can, for example, inject the same sample into 2 flow paths and columns. With its two fully integrated, independently operating gradient pumps and smart column switching, it allows fast configuration of online-SPE, parallel or tandem (UHP)LC, inverse gradient operation and fast application switching. Rapid Separation Systems fully support longer (up to 250mm) sub-2µm particle column technologies and can, by default, also operated as regular single flowpath system.